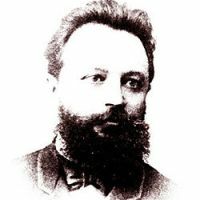 International chess festival “M.Chigorin Memorial”, part of the Russian Cup Stage, will be held from October 26 – November 5. The venue is “Park” hotel (metro station “Krestovsky ostrov”, Severnaya doroga 12, St. Petersburg, Russia). Prize fund is 1650000 RUR. Time control: 90 minutes and 30 seconds increment per move from move 1. Last year 360 players took part in the open and the winner was GM Kirill Alekseenko.